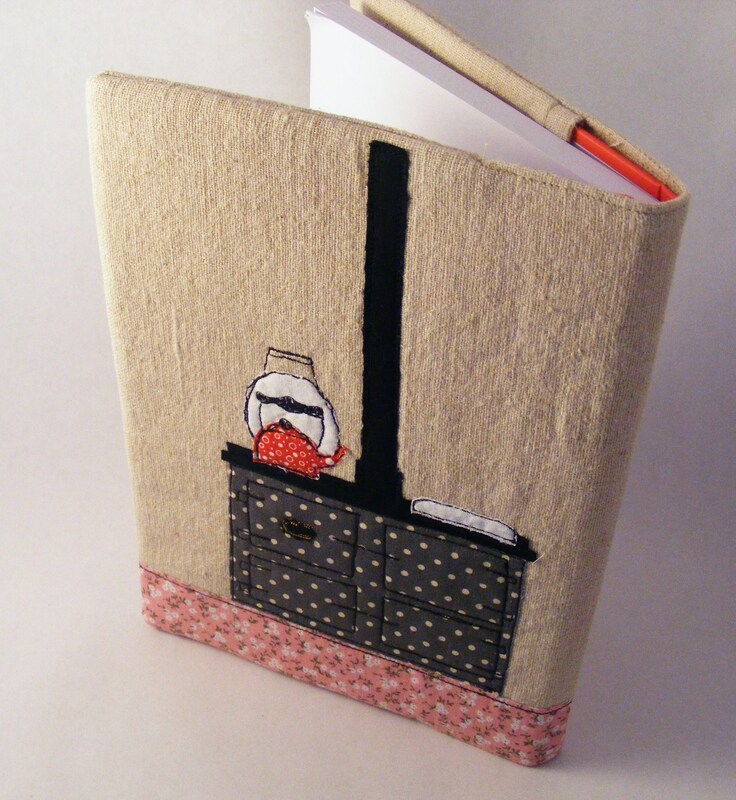 My new range of journals and notebooks is now half complete. I have designed and made four of them so far and I am really pleased with them. There will be another four to complete the range but they are still 'in development'. 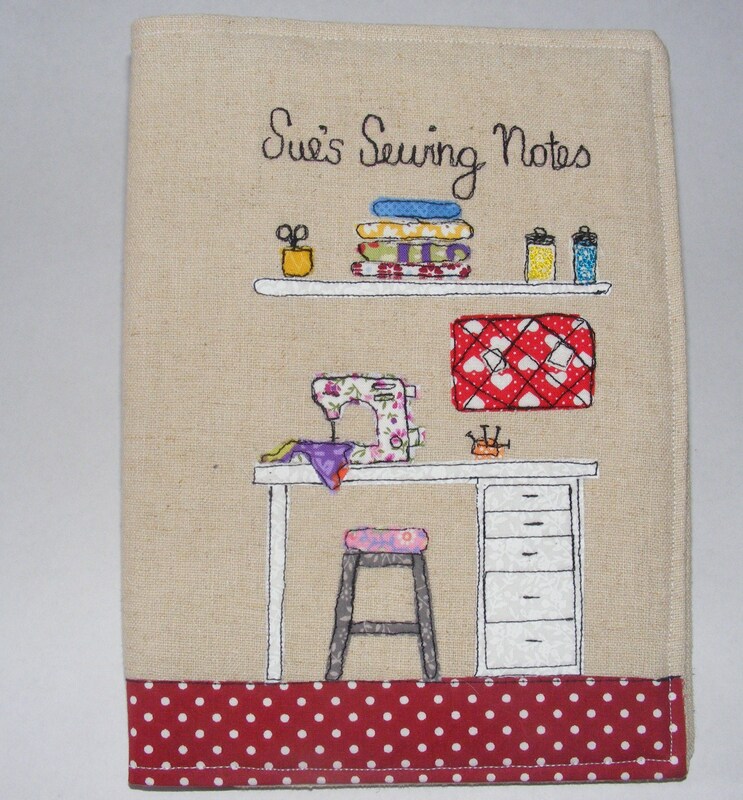 Although I have made notebook covers before, they had covers that were based on a very simple applique design. This time I approached it differently. 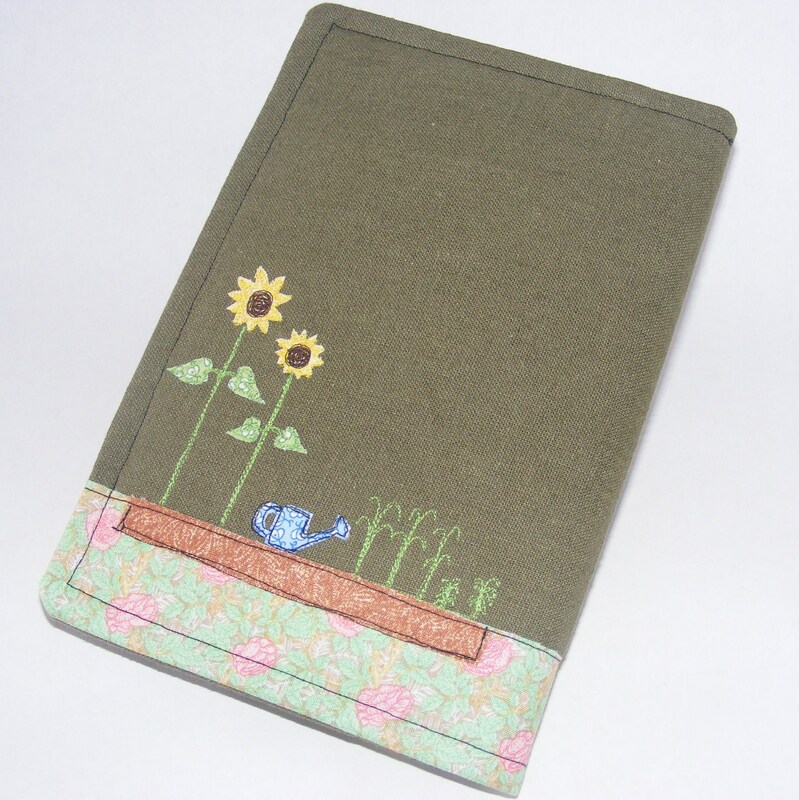 The cover designs the purpose of the notebook/journal. 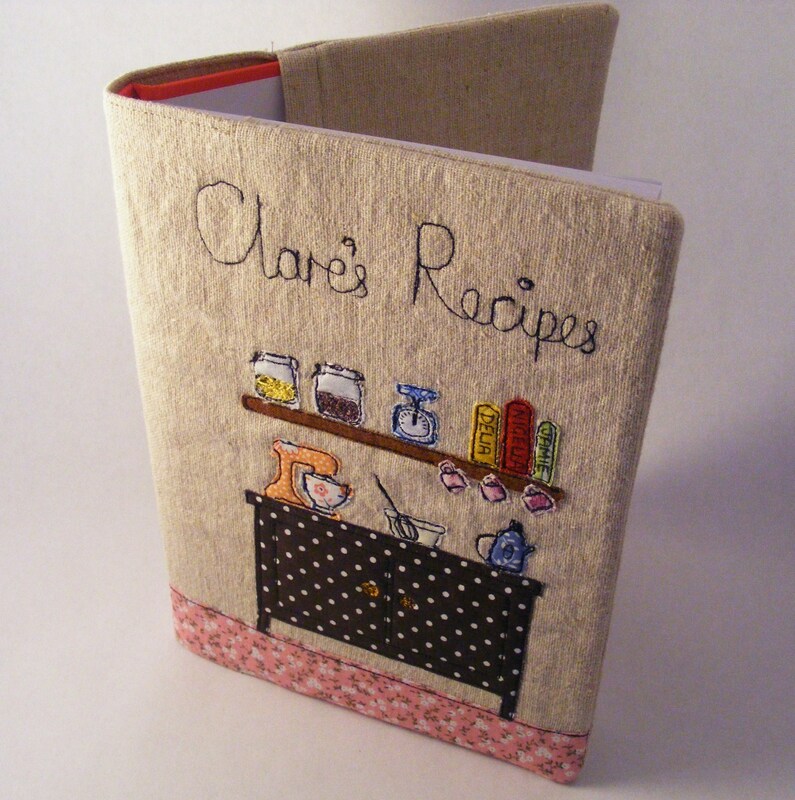 The first is a recipe notebook. It features a kitchen scene with a cupboard and an aga. 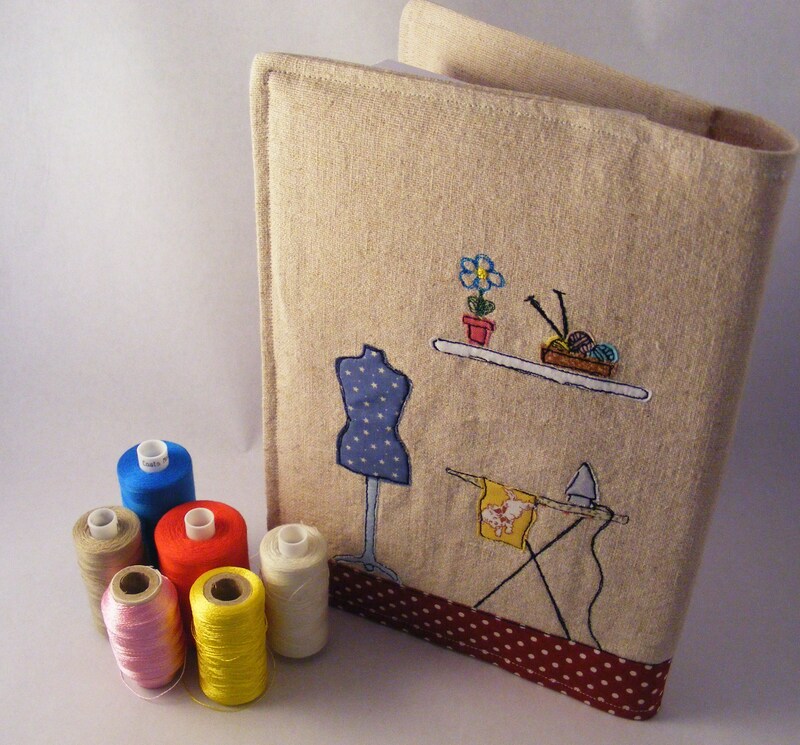 The second design is my favourite as it is a sewing notebook based on my own workstation. My sewing machine isn't actually flowery but other than that, the design is quite faithful to the original! 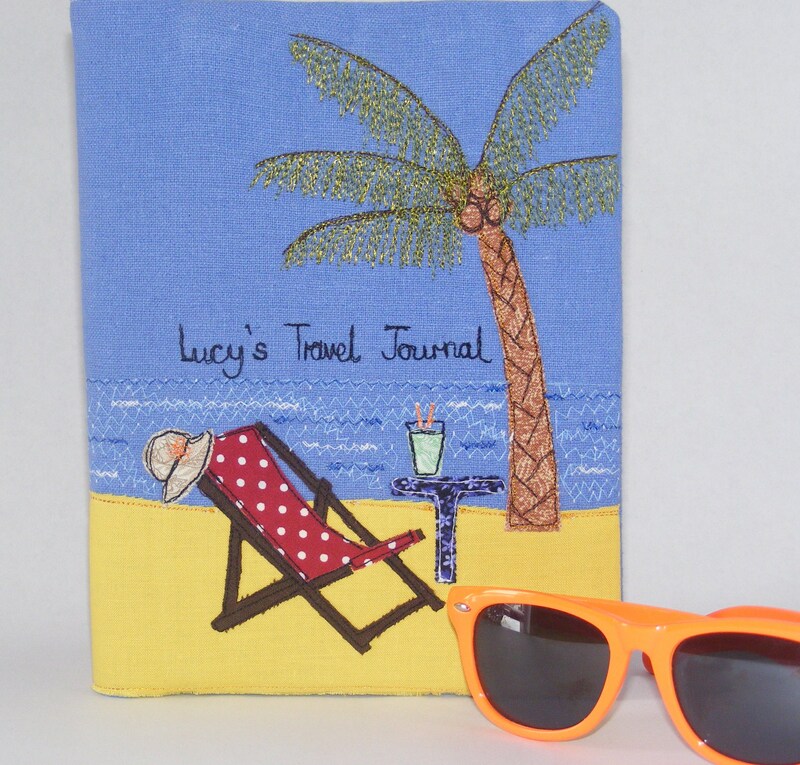 The third design is a travel journal. 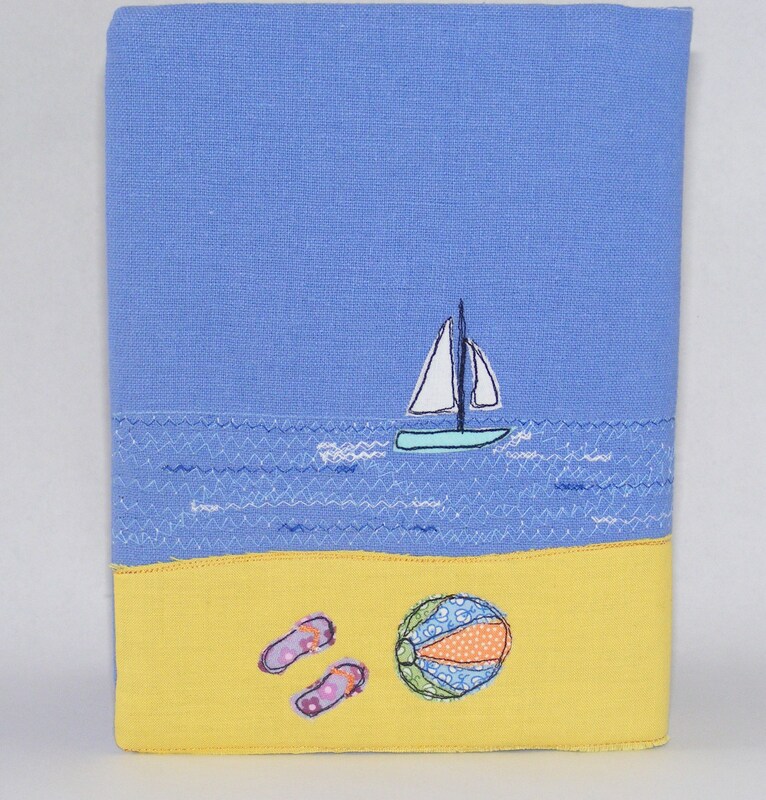 It is quite a feminine design with a sun hat on a deckchair next to a cool drink on a little table. One of the designs I will be working on soon will be a more masculine travel journal. 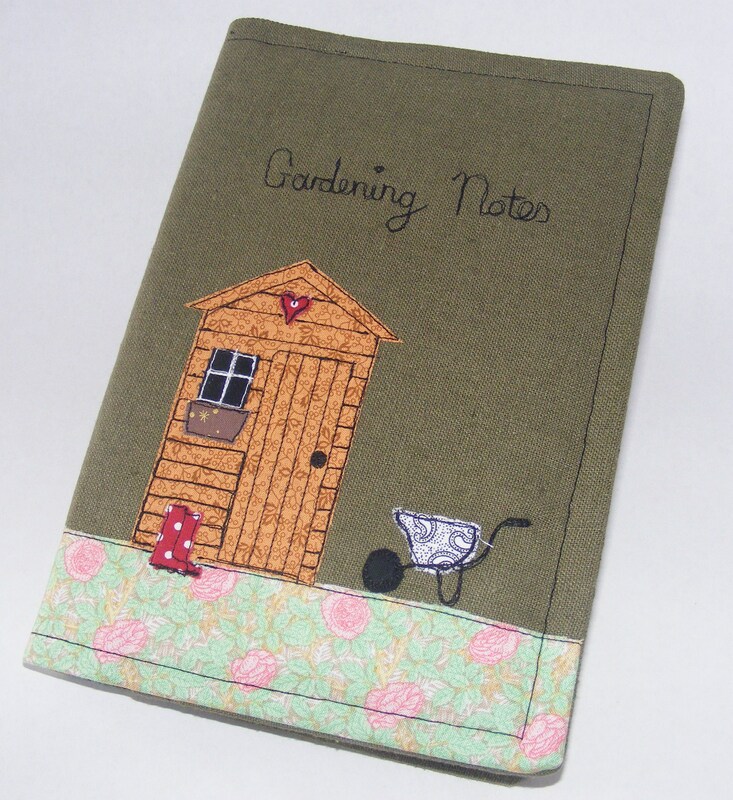 And the final design so far is a gardening notebook. I wasn't sure of this design at first but it has really grown on me and is now possibly my favourite so far.